NEARLY 875 PINTS of homemade alcohol or “hooch” was confiscated from prisoners serving time in Irish jails last year, new figures have revealed. The potent homebrew is made by inmates using a number of basic ingredients including water, sugar, fruit and bread. The mix is then left hidden in cells until it ferments. In the past four years, authorities have discovered and seized almost 6,500 pints of hooch from inmates throughout the prison network. Last year, the largest quantity of the illegal homebrew was seized at Castlerea Prison in Co Roscommon, where the equivalent of 226 pints was confiscated by prison officers. A total of 200 pints was seized from inmates at Midlands Prison in Portlaoise. Prisoners at Cork Prison were forced to surrender more than 160 pints of hooch during 2016, while a further 116 pints was seized by the authorities at Portlaoise Prison. Portlaoise Prison is the State’s only maximum-security facility. No homebrewed alcohol was found at the Dóchas Centre in Dublin last year, where female offenders are detained. Similarly, there were no seizures of hooch at St Patrick’s Institution, which accommodates 17-year-old convicts. 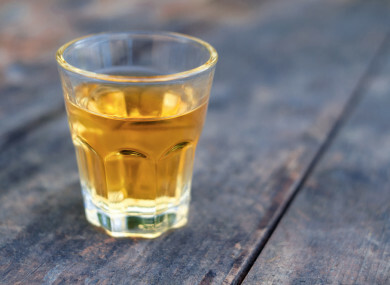 Hooch or “prison wine” can be made from a variety of makeshift ingredients including apples, oranges, potatoes and bread – the latter provides the yeast required for the fermentation process. A sock can be used to separate the pulp from the liquid, and the finished product can be extremely potent depending on the amount of sugar used and the length of time it is left to ferment. Prison brewing has been known to cause outbreaks of botulism – a disease caused by bacteria produced during the fermentation process. Its symptoms can include muscle weakness, paralysis and blindness. In the UK, some prisons have banned inmates from buying large quantities of fruit – especially apples and pears – in order to prevent their use in the brewing process and clamp down on the production of hooch. The Irish Prison Service (IPS) has said that extensive efforts are made to reduce the flow of contraband in Irish jails, and this has resulted in a reduction of illicit items seized in recent years. “A range of enhanced measures including the establishment of a dedicated group of staff was introduced in May 2008 with the aim of reducing the supply of contraband into our prisons,” it said. This included the introduction of security screening areas in all closed prisons, the introduction of a canine unit, increased searching of cells and their occupants, and the installation of nets over exercise yards. Figures released under the Freedom of Information Act show that a total of 873 pints of hooch was seized last year, bringing the total seized since 2013 to 6,444 pints. There was no hooch seized in five of the 14 prisons. Email “873 pints of' 'hooch' confiscated in Irish prisons last year”. Feedback on “873 pints of' 'hooch' confiscated in Irish prisons last year”.